Rosen To Release New Single "Riot"
Fiery fivesome, ROSEN, release a powerful new single, Riot, on March 16th 2018. ROSEN are an extremely dynamic and culturally diverse unit. The quintet are comprised of members hailing from Poland, Czech Republic, Denmark and Iran. 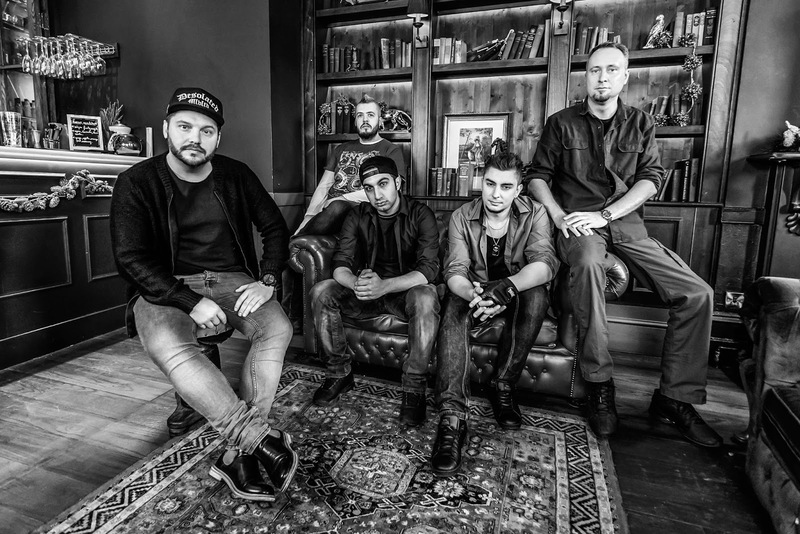 Now residing in London, and featuring Frisco (Drums), Matt Ress (Guitar), Kam Ikaze (Bass), Cole Sław (Keys), and Frhetoric (Vocals), ROSEN arrived onnthe scene last year and are already creating a stir for their politically triggered hip-hop/nu metal fusion which takes influence spanning from Limp Bizkit and Faith No More, through to Korn and Cypress Hill. 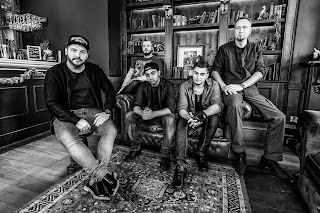 With lyrical themes that cast views on social commentary, the band's debut single, "High Tech Low Life" (https://youtu.be/ChzQHXYNCj8 ), touches on social media and narcissism. While their forthcoming single, Riot, addresses the current political climate of censorship, ignorance and a lack of purpose. Vocalist Frhetoric remarks about the creation of the single: "Our guitarist Matt came up with some really cool riffs influenced by Korn and Rage Against the Machine, and the chorus just screamed "Riot" at me, so that was the starting point for the song. I wrote the lyrics from the point of view of Antifa activists, as I'd been watching their anti-free speech riots at Berkeley in 2017." MaidaVale Stream Video for "Oh Hysteria"
Will Haven Releases New Track "Winds Of Change"
Nitish Pires Releases Video for "It's My Way"
Irdorath Releases New Song "Blessings From Above"
MOEBIUS RELEASES NEW VIDEO FOR "URANIUM"
Beyond Mara Releases New Video for "Hindenburg"
BLOODLINE RELEASES NEW SINGLE "N.S.T.B." ARCADIA ANNOUNCES NEW SINGLE "KICKBACK"
Gears Release Video for "King"
Plenty Releases New Song "Every Stranger's Voice"
Dan Owen Releases Acoustic Version of "Icarus"
X Ambassadors Reveals Video for "Don't Stay"
Lisa Stansfield Releases New Song "Billionaire"
IDestroy Releases New Video for "Lemons"
Malet Grace says to Let the Metal Eternally Flow! STARK DENIAL RELEASES NEW SONG "STARK DENIAL"
Dominance Releases Video for "Breathless"
Drifter Release Video for "Black Mamba"
ONDT BLOD REVEAL NEW SONG "START HAN OPP"
HIGH PRIESTS STREAM NEW SONG "10 YEARS"